I feel this has to be a part of Sci-Fi Month every year: my favourite science fiction novels read this year. These are the ten novels that impressed me the most, listed in no particular order because I find it so difficult to order books… I just love them all too much. If you enjoyed any of these, let me know! Both Steelheart and Firefight were extraordinary books. I have really enjoyed everything by Brandon Sanderson that I’ve read so far, but these two are written in a very different style to everything else, and are aimed at younger audiences. However, if you’re not a Young Adult fan, this series still comes really highly recommended – particularly if you like the superhero genre. 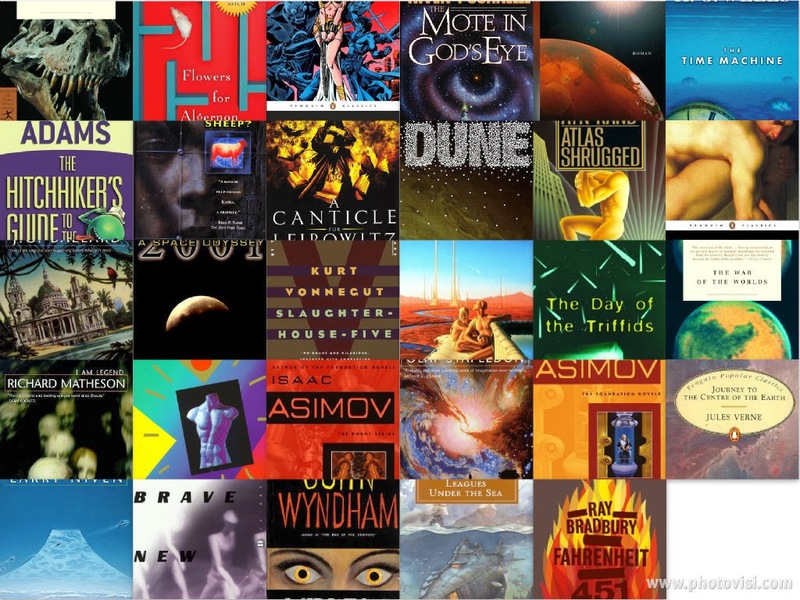 Reading Fahrenheit 451 meant making progress with my Definitive Science Fiction Reads challenge, created for Sci-Fi Month 2013. It is a haunting tale; the thought of a world where books are banned absolutely terrifies me, and many others I’m sure. Tracer was a Netgalley find, chosen for my post-The 100 needs. It is so action-packed and fast, and I can remember the opening scene really well as it was so vivid. The First Fifteen Lives of Harry August is a more ‘subtle’ science fiction book, in that whilst time travel (of a sort) is the central concept of the book, it actually takes a backseat. How Harry time travels/is reborn is less important than what he does with his many lives. It is definitely the sort of science fiction book that would appeal to those who do not consider themselves big fans of the genre. Armada, on the other hand, is definitely one that will appeal to a certain group of people: video game fans. The story of a teenager who gets caught up in an alien invasion that seems inspired by the online game he plays, it is Ernest Cline’s second novel. 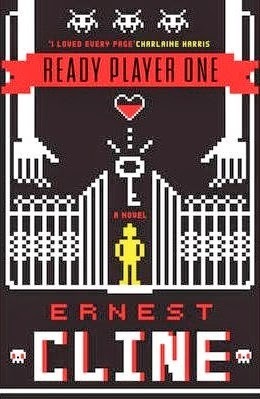 I couldn’t wait to read it after Ready Player One, and whilst I did not enjoy it much as his first novel, I still rated it five stars because it was just so fun. Time Salvager was one of those books that I had high expectations for, but it still managed to utterly blow me away. As I said in my review, it is the type of science fiction that I have been yearning for for a while. The Girl With All The Gifts is a very different type of book, but equally fantastic. A sort-of-zombie dystopian novel, unlike other books of the same ilk, the reader sees the zombies from a more ‘personal’ viewpoint. Way Down Dark was another wonderful Netgalley find, that I partly took a chance on just because of the cool cover. This felt like a breath of fresh air compared to the whole host of science fiction/dystopian Young Adult novels that have recently been released. Unfortunately as it has been labelled as ‘for fans of The Hunger Games and Divergent, I fear this will put many people off the book who actively avoid those series or those similar. Ignore that! Catalyst is the final book in the Insignia series, and was a really great ending. It follows young teens training for the military, and somehow often feels simultaneously tense and light-hearted. Have you read any of these, or are you planning to? What are your thoughts? Tomas will inherit a legacy of savage power from an ancient civilization. Pug’s destiny is to lead him through a rift in the fabric of space and time to the mastery of the unimaginable powers of a strange new magic. Today I’m going to share my favourite science fiction book covers with you. Feel free to join in and share your link in the comments below! Don’t forget to check out the schedule for the rest of today’s posts. You can also Tweet about the event using the hashtag #RRSciFiMonth. 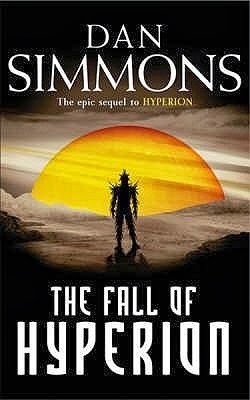 Hyperion and The Fall of Hyperion (Hyperion Cantos #1 & #2) by Dan Simmons – I love these editions of this amazing series. Silhouettes are always a good choice, and the pilgrims on the front of the first book and the Shrike on the front of the second emphasise whom each book centres around. And I really like it when series use a similar format for each book, changing small details like a main colour. 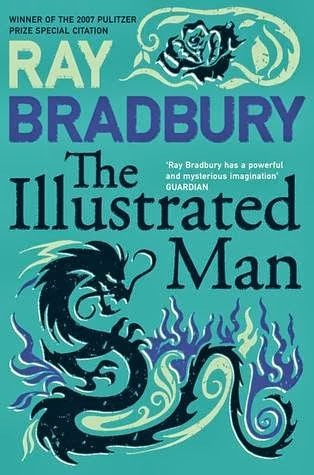 Fahrenheit 451 and The Illustrated Man by Ray Bradbury – these editions of Bradbury’s books are just gorgeous. The vector illustrations and colour schemes work so well, and they’re eye-catching without being too cluttered. The Time Machine by H.G. 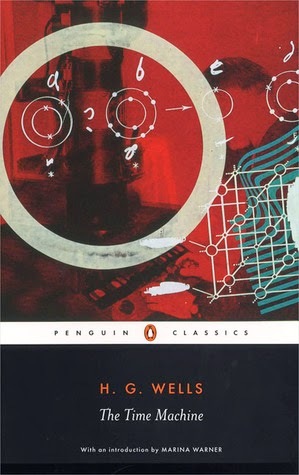 Wells – this abstract cover works so well. It represents the blueprints and designs for the time machine, and is as mysterious as the workings of the machine itself. I always love the Penguin Classics covers! 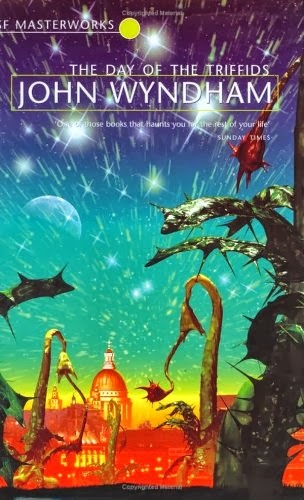 The Day of the Triffids by John Wyndham – I chose this one because of the bright colours, it really catches my eye. I don’t actually particularly like a lot of the SF Masterworks covers, but this one is pretty. Plus giant man-eating plants attacking London! 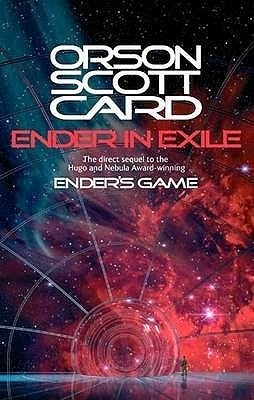 Ender in Exile by Orson Scott Card – this cover really says ‘science fiction’ to me. It’s pretty simple, whilst being gorgeous – I love the NASA photos of deep space, all the wonderful colours and different stars. Ready Player One by Ernest Cline – 8-bit cover! Pretty much instantly captures the book in one. Whilst not a ‘pretty’ cover like some, I think this one works so well with the subject matter. 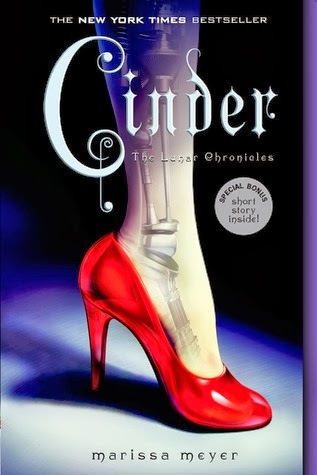 Cinder (The Lunar Chronicles #1) by Marissa Meyer – I mostly just think this cover is really clever. Cinder is a cyborg after all, so instantly conveying that message whilst using a traditional Cinderella image was a really good idea. 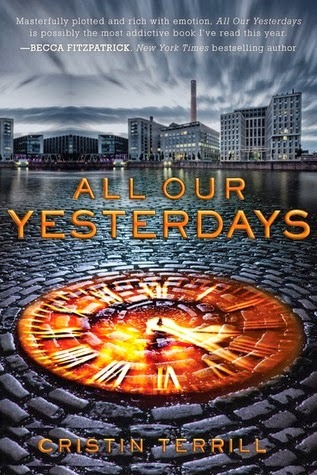 All Our Yesterdays by Cristin Terrill – this one is so much nicer than the UK cover! The drab, grey buildings and stormy sky remind me of the dullness of every day life, and the clock in the middle represents the excitement of time travel. But that’s just me… just waiting for the TARDIS to arrive. 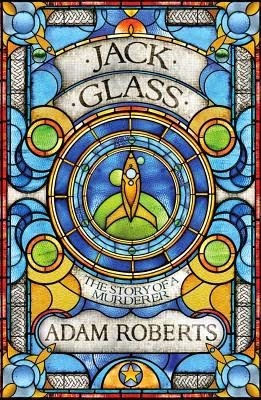 Jack Glass by Adam Roberts – definitely one of the prettiest covers I’ve seen so far this year, of any genre. 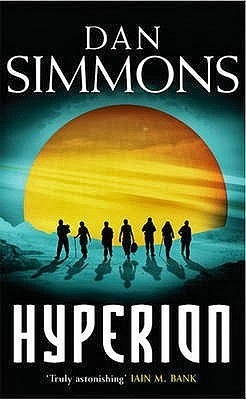 It looks absolutely gorgeous and completely bends the stereotype of a ‘typical’ science fiction book cover. What are your favourite science fiction covers? If you make your own post, feel free to link it up and let me know in the comments! My ‘Weekly Roundup’ is where I share the books I have received in the past week, whether bought, gifted, borrowed etc. 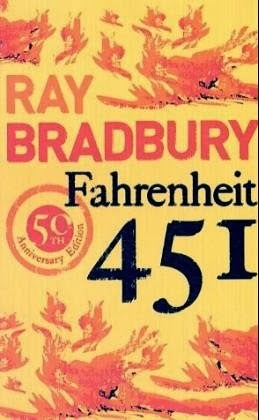 Fahrenheit 451 by Ray Bradbury – a sci-fi classic I’ve been meaning to read for a while, this was a charity shop find – and it’s also the lovely 50th anniversary edition! Sadly, Ray Bradbury passed away just over a year ago, in June 2012. I enjoyed reading his The Martian Chronicles, but haven’t yet read any of his other works – this is next on the list. Serena by Ron Rash – I don’t often buy books brand new anymore. I’m trying to save as much as I can for my Masters, so second-hand books are much more affordable. However, if I think a book is really worth reading and I just want a copy of it, rather than hunting the charity shops I will occasionally just buy it brand new. I don’t know what it was about this book that drew me in – it just sounds really good, and is totally the kind of thing I want to read at the moment. Ordered from the Waterstones website. What new reads do you have this week?